Rabies is a life-threatening viral infection, which targets the brain and nervous system. It can be carried by a variety of wild and domestic mammals, including dogs, cats, foxes, jackals, wolves, civets, mongooses, racoons, coatis and bats. The greatest risk in most countries is from dogs, although bats pose a relatively significant risk in the Americas. Rabies is usually transmitted to humans through the saliva of an infected animal, through bites, licking of broken skin or scratches. However, being spat in the mouth or eyes by a startled bat also counts as a significant exposure. Transmission by inhalation is also a risk in some caves where large numbers of bats roost. Rabies is especially common in parts of Africa, India and SE Asia, causing 59,000 human deaths each year and untold fear and suffering. Overall, the risk to travellers of rabies itself is very small, but the consequences potentially major. Without pre- or post-exposure vaccination, rabies is almost always fatal. 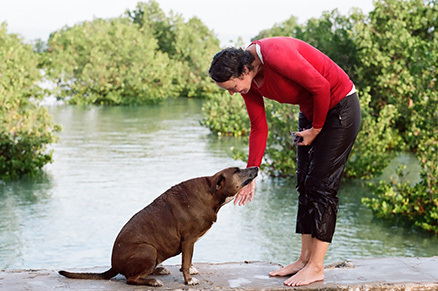 A recent and ongoing outbreak on Bali (previously rabies-free) since 2008 has so far led to the deaths of 160 people and thousands more dogs. Bali is one of the highest risk places in the world for a mammal bite. As most tourists who visit Bali are unvaccinated, the island frequently runs out of immunoglobulin and even active vaccine. This leaves local people at increased risk, as many do not have the resources to fly off the island to seek treatment elsewhere. Rabies vaccination is strongly recommended by the WHO for all travellers to regions where rabies is either moderately or highly endemic. Unnecessary contact with dogs and other animals (including temple monkeys) should be avoided. Vampire bats may feed from veins on the feet of sleeping people. A mosquito net is thus a doubly sensible precaution at night in the Amazon. 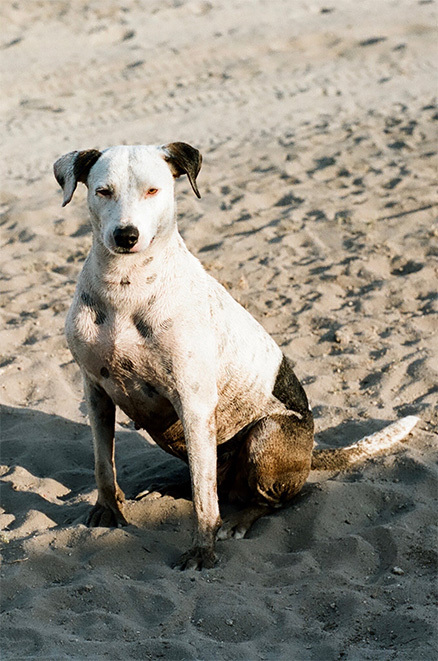 Rabies vaccination can be given by either the intra-dermal or intra-muscular routes. Both are considered equally effective, but the intra-dermal route is cheaper and less painful. 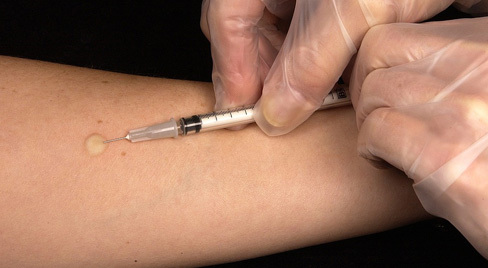 TrExMed is one of only two Edinburgh travel clinics which offer intra-dermal vaccination. The whole point of pre-exposure rabies vaccination is to protect you. It does not "merely buy you time". The current, Scottish and international guidelines are that no further, 'routine' boosters are required for most travellers following a complete, intra-dermal or intra-muscular course, except in the event of a significant exposure (see below). Follow this up with neat alcohol or povidone iodine (Betadine) solution if available to help disinfect the wound. You would probably be advised by the doctor you see locally to have a booster. This would mean either 4 intra-dermal vaccinations on the same day (recommended by the WHO), or 2 intra-muscular ones, 3 days apart (UK official guidance, but less effective). While the immunity from a full course is now considered to be life-long, it is considered best practice to flood the body with extra antibodies in the event of a possibly rabid bite, to be on the safe side. No-one who has had a complete pre-exposure course and a booster in the event of an exposure has ever gone on to develop rabies. No other vaccine can compare with this 100% record! Four standard rabies vaccinations on days 0, 3, 7 and 21 after first dose of RIG. *Please note: RIG is often in short supply in rabies-endemic countries, and where available, usually only in a major or capital city. Rabies vaccination is now considered by most Expedition Medicine professionals in the UK to be a pre-requisite for all participants on an expedition to a high risk region. Given intra-dermally, it can also work out more cost-effective to arrange this as a group. For travellers planning to be in extremely remote areas (i.e. more than 48 hours away from a hospital) additional, special arrangements may be advisable, e.g. carrying a dose of rabies vaccine with you, or having a precautionary booster just before you travel. If you feel you might fall into this category, please speak to Jim or Nicky to arrange training, supplies etc. There are some people who have a high occupational risk of unnoticed rabies exposure, e.g. laboratory workers working with the virus, bat cave explorers or people handling wild or stray animals. For such people and/or for extra peace of mind, TrExMed offers a rabies immunity testing service. This consists of a simple blood test to see if you have significant levels of rabies neutralising antibody in your blood.